It is a forestry railway（762 mm gauge）that has been operated by Huanan Forestry Department. It is located in the eastern part of Heilongjiang Province, and began service from 1958. But the line leading to Qixing（from Dongxing）was abolished in 1990, and the line leading to Shengli（from Xiahua）and the line leading to Qianjin（from Honggang）were abolished in 1994. After that, between Huanan and Hongguang（45 km）survived for the coal transportation of Hongguang Coalmine, but in 2012 the transportation was switched to a truck and the operation by train was suspended. It was a popular railway because the steam locomotive had been uesed until the end and push-pull driving was carried out in the section from the Lixin to the pass. 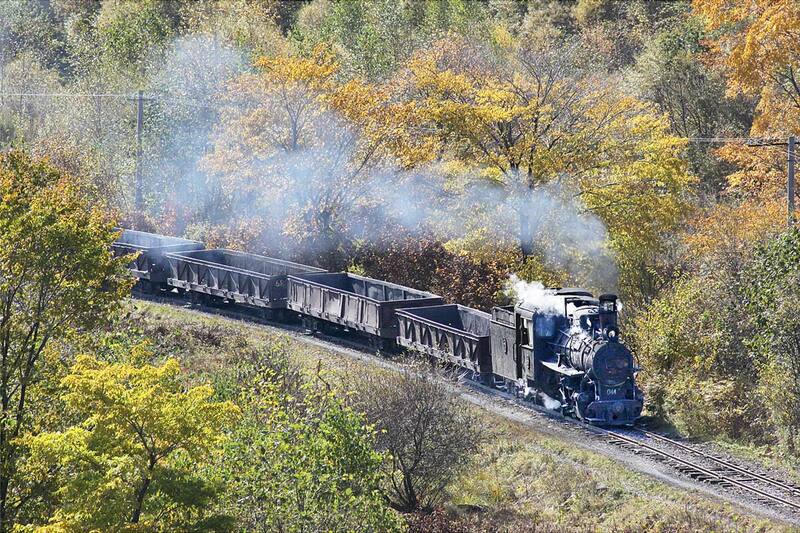 After a six-year stop period, from Oct.2018 it started to operate tourist trains using steam locomotives. As of 2019, a round trip tourist train runs every weekend（Saturday and Sunday morning）in a section of about 5 km from Huanan train shed, and extension of the service section is also being studied in the future.